Since its establishment in 1992, Zlatiborac stands on solid foundations – high-quality products that are made at the crossroad of tradition, nature and innovation. Our manufacturing facilities are located in the same place where the tradition began - in the pristine nature of Zlatibor village Mačkat. 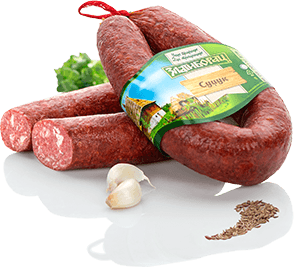 Zlatiborac expands its production only to the extent that will not chnage the original and recognizable taste and quality of more than 25 of its products, including dried and smoked meat and other products. The growing demand for our smoked hams, salamis and sausages imposed constant increase of production, while preserving original recipes, recognizable flavor and quality standards. Today, our manufacturing facilities are spread over 30,000 square meters, on the same place where the first family-owned drying chamber is standing, for more than 120 years. The factory in Mačkat and four regional business centers in Serbia employ more than 350 people, while the products are available in thousands of retail stores across Serbia. Three major air currents meet just above Zlatibor – the ones from the Carpathian Mountains, the Alps and the Mediterranean – creating a unique blend of purest air on which Zlatiborac products are dried, inhaling inimitable aromas of nature. While preserving the original methods of preparation on purest mountain air, respecting modern standards of hygiene and environmental protection as well as by constantly investing in quality development, Zlatiborac grows naturally as a company, with the aim to preserve and share with the world the original taste of traditional smoked meat specialties from Zlatibor. 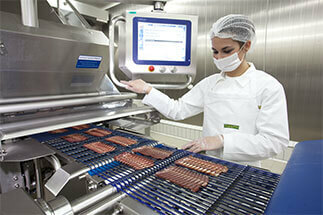 On that path, Zlatiborac has become the leader in manufacturing traditional smoked meat delicacies in Serbia. Continuous investments into product quality created the opportunity to export its products to foreign markets – Montenegro, Macedonia, Bosnia and Herzegovina, Russia, Belarus, etc. Long and cold winters on Zlatibor created the necessity of the local population for strong, durable and tasteful food. Meat, being an ideal source of calories and proteins, is a perfect source of energy necessary for hard work in the mountains. The secrets of drying and smoking meat on Zlatibor were passed from generation to generation, including six generations of the Stojanović family, which began drying the meat back in 1885. More than a century later, grandfather Milomir Stojanović bravely led his family into developing famous specialties from Zlatibor - the only one who successfully managed to raise this kind of manufacturing to an industrial level. 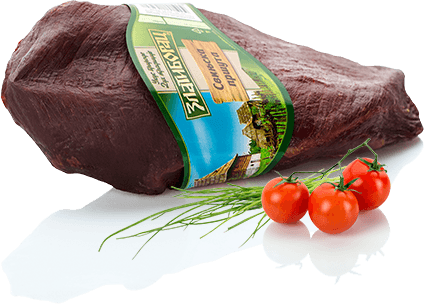 Product quality and the trust of customers have put Zlatiborac in a prestigious, but also a responsible leading position on the domestic market of durable dried meat delicacies. Zlatiborac’s technologists are constantly working on developing new solutions for balanced interaction of traditional production of smoked delicacies and intact nature of Mačkat village. And it has been like that for 130 years. That is our quality!